As a proactive member of Erasmus/ Marhaba Project Koya University managed to send 28 mobility candidates to their selected host universities between 2015 to 2018. 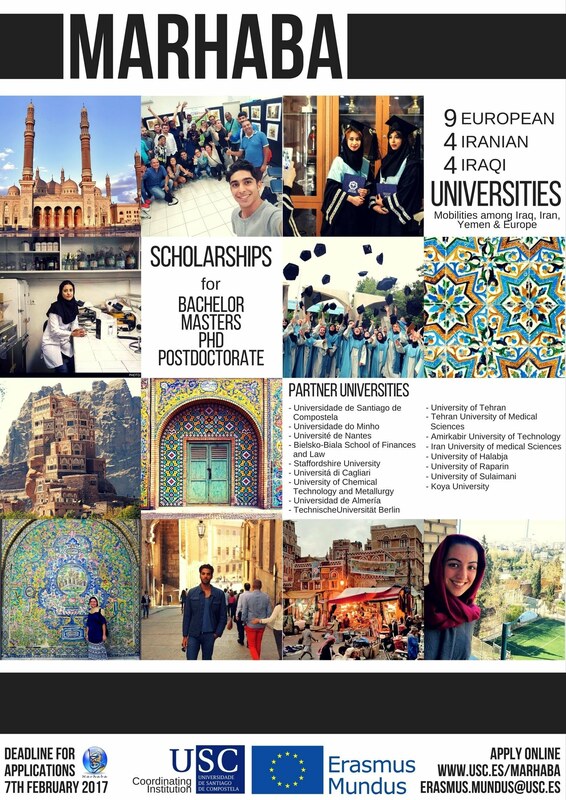 The Marhaba project created good opportunities in our small academic community. Koya University now entring Erasmus+ program and calling for new MoU with European universities. MARHABA project is included in Action 2 – Strand 1 of the Erasmus Mundus programme - Partnerships with countries covered by the ENPI, DCI, EDF and IPA instruments (former External Cooperation Window). To contribute towards the development of human resources and the international cooperation capacity of higher education institutions in third-countries through increased mobility streams between the EU and third countries in accordance with the principles of equal opportunities and non-discrimination. به‌شداریكردن له‌ په‌ره‌پێدانی سه‌رچاوه‌ مرۆییه‌كان وتوانای هاریكاری جیهانی دامه‌زراوه‌كانی خوێندنی باڵای ولاتانی سێیه‌م له‌ ڕێگای زیادكردنی جموجۆڵ و هاتوچۆ له‌ نێوان یه‌كێتی ئه‌وروپا و ئه‌و وڵاتانه‌دا به‌پێی بنه‌ماكانی هه‌لی یه‌كسان و جیاوازی نه‌كردن.